Hello and Welcome to Radish Blog! My name is Jenny and I used to have a fashion blog and style column in a local newspaper, but that was a long time ago. I've been wanting to get back into blogging since my son was born but the internet is saturated with other mom bloggers. And while I am a mom and being a mom is one of my favorite things that I've ever done and I am lucky to have a tribe of close "mom friends," I don't want this to be just another mom blog. 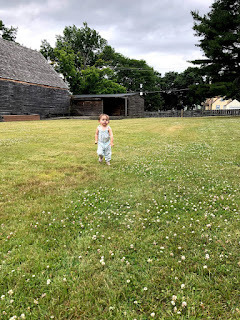 I have a lot of feelings about the Mom Culture that we see portrayed on social media and this blog is my little space on the internet that is going to challenge that a bit. It's never going to be Wine O'Clock here. -insert eye roll - It's taken three and half years into this mom gig for me to find the new me, and I am not just a mom. And I like this me and I think I can motivate others and create a new kind of irreverent community for moms and their sympathizers. I've made a lot of changes in my life over the last couple of years, some I never thought possible like giving up cheese (oh how the old style blogger me loved cheese), and I would love to help motivate others to make the changes they are longing to make! being as green as can be - and the trials and tribulations of getting my husband on board with more recycling! and whatever else pops into my head! I also plan to be fully transparent. This blog is first and foremost an outlet for me to be creative and do something that I love: write. But I also hope to make a little money from it. I do promise to never promote a product that I don't love and I promise to always be honest in reviews and disclose when I have been sent something for free.